It has been a wee bit busy around these parts over the past week. Our kids are now out of school for their spring break and then of course we celebrated the very blessed Resurrection of our Lord on Sunday. I have also been working diligently on our Home Office reorganization and makeover. One Sunday a couple years ago, I was on my way home from church and this little baby was just sitting out by the side of the road. and as you can see she is also pretty beat up. I thought this would be a great fit for our home office given her Mission style lines and size. So I went ahead and started doing a little sanding, and as I sanded I realized that I was right, she is all wood. Then I did a little painting and staining. I actually found a chalk paint over at my local Walmart for only $7.99 so to save some time in prepping this piece, I decided to give I it a try. 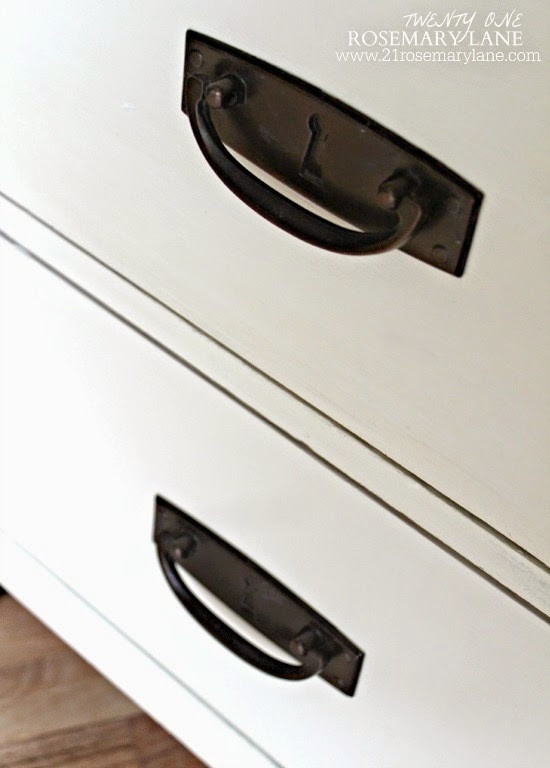 To be honest I really liked the chalk paint itself but didn't care for color of the white wax. It was kind of yellowish to me, so instead I applied a clear polyurethane to both the stained top and the painted body. I wanted to keep the original hardware because I really like its look and I also opted out of distressing the piece. And I am stoked about the way she looks now!!! Today we are taking the kids down to Washington DC. We're hoping to catch some of thoses magnificent cherry blossoms. Hope you all are enjoying this beautiful spring week. Share Your Style link party! What a beautiful piece! I'm glad you didn't distress it. I'm rather tired of seeing good furniture distressed. How wonderfully creative you are. I love it! Barbara, that piece looks great. I love seeing the top of a painted piece left in its original wood. I'm heading up to the DC area this weekend, also hoping to see the cherry blossoms in their full regalia/ It's a spectacular sight to behold around the basin, isn't it? Enjoy your time with the kids. Wow, I love it. I can't believe what people 'throw out'. Love how that turned out, Barbara! You did a great job and I like the white paint. I REALLY like the hardware. I think it just makes the piece. I like that you left the top wood, too. Great job! This turned out great! 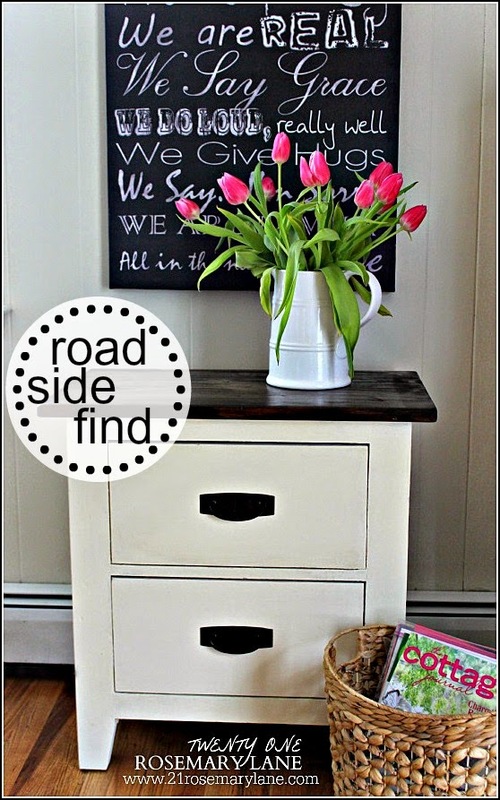 I am curious as to how you like the Walmart Chalk paint? How does it compare to other name brand paints? 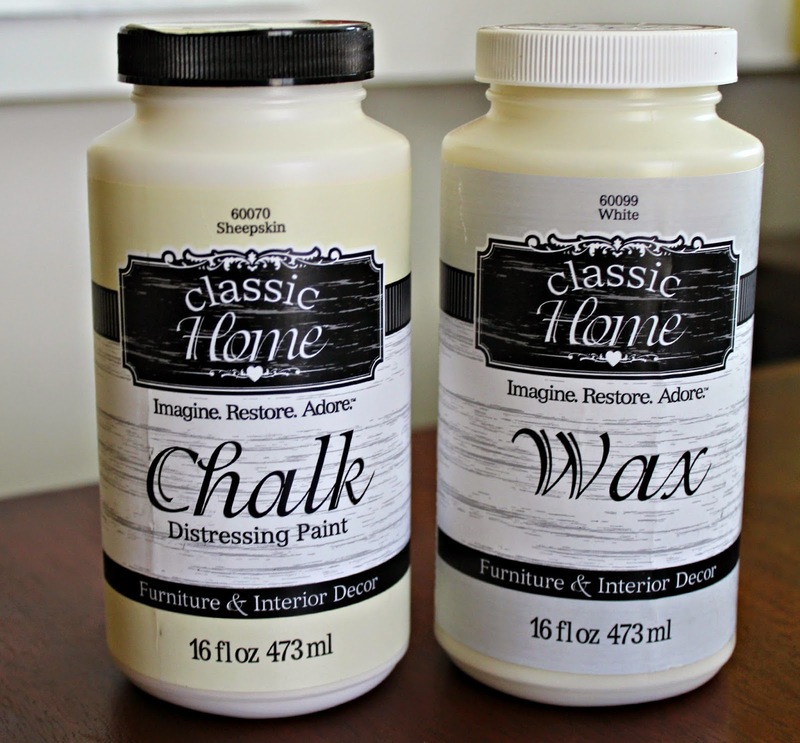 Have you tried making your own chalk paint? Thanks. 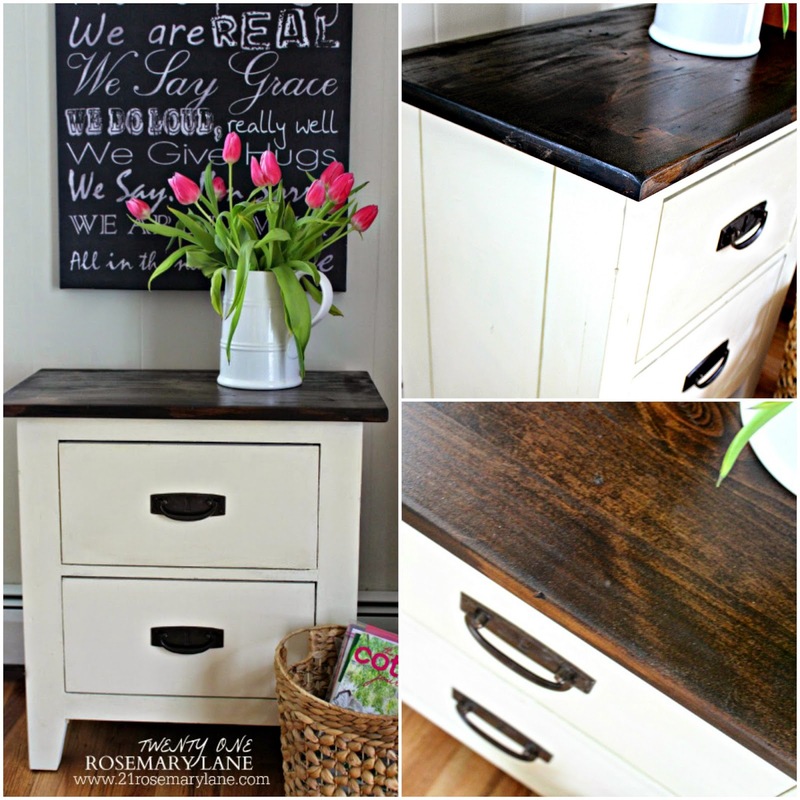 What an awesome find and fabulous re-do! LOVE how this turned out! Absolutely gorgeous!! What a fabulous piece. I love it. You did an amazing job refinishing it. Great find and great re-do! I really like the dark top with the white bottom. Of course, your styling of the surrounding décor adds the "icing to the cake"! Wonderful! 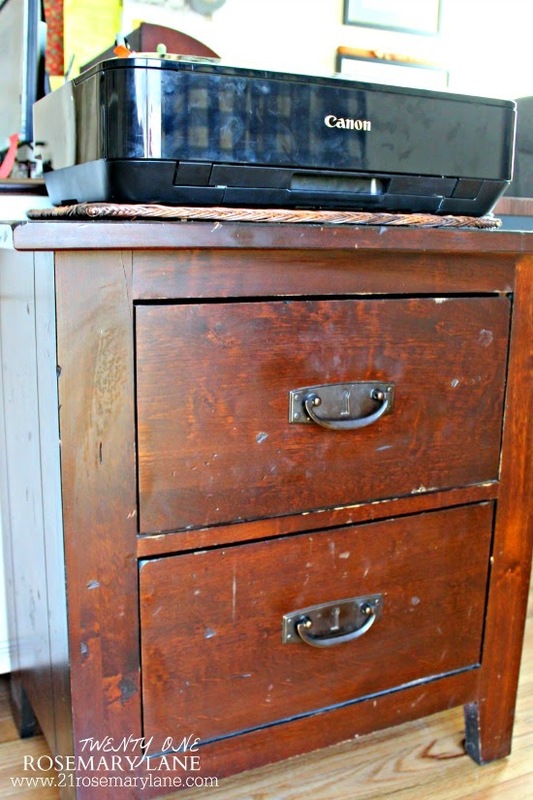 Wow, this is a fabulous upcycle--great job! 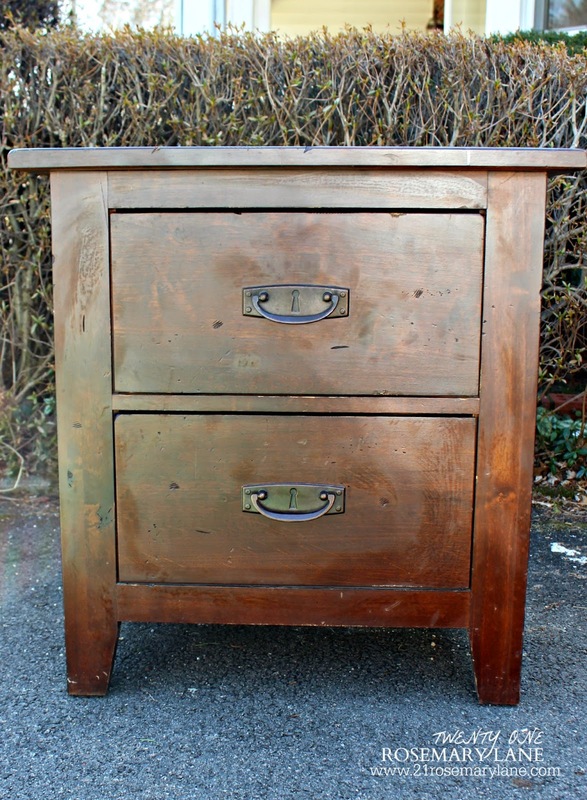 I paint furniture myself, so I tend to be incredibly picky about how other people's work turns out. But this is done so well! It was such a great find. The look of the stained wood with the painted finish is right on. It is always worth it to do the extra work to get down to the bare wood. 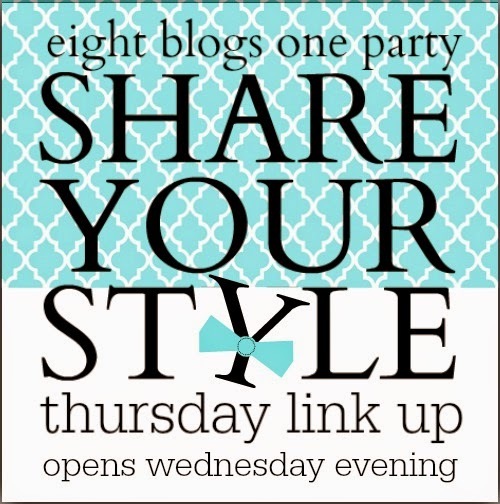 I'd love if you'd be willing to share some of your work at my link party today. I'm always trying to scout out people that I know would be a good feature :) Have a great day! Barbara, love how this beauty turned out! The white with the dark top is stunning. Hope you got to see those blossoms. One of my friends went this year and said they were breath taking! On my list of places to go. Thanks for sharing with SYC. Wow, looks so great! Awesome find!